With ETUILTD005 V.A. – “Translucent Tracks” we are presenting 4 new tracks from the deeper side of techno. Beside label head Insect O. we also welcome Quantec, Echo Inspectors and Frank Hellmond to our vinyl series. Echo Inspectors’ “Parable” opens the ep. With a great selection of sound elements and an analogue drum set, the Melbourne based duo made a fusion of Dub and Detroit Techno. It´s the sound we love from their releases on their own Primary [Colours] imprint as well as from our Etui Winter Camp Compilation. Dub Techno genius Quantec, who already released on labels such as Echochord or Styrax, delivered a more down stripped track. His “Analogue Effusion” is based on delayed synth chords which get deeply modulated over a handful dry drums. When the bass kicks in, this turns into a dancefloor mover. The b side starts with “The Clouds Above Us” by Etui Records label head Insect O. Filtered chords and short pads create a hypnotic sound scape and built up the tension step by step. Shaped drums are giving the track that drive to work well on the dancefloor. Frank Hellmond´s “True Lines” offers a Deep House groove made of analogue drums and sweet synth loops. Rare vocal snippets are bringing in the dubby atmosphere and round up the EP. V.A. 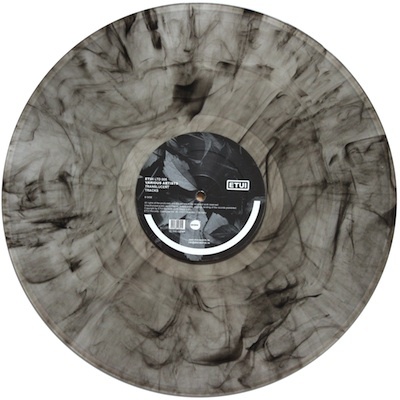 – Translucent Tracks will be released on translucent / black marbled vinyl. Mastered by SALZ Mastering. Manufactured by Cometomusic.